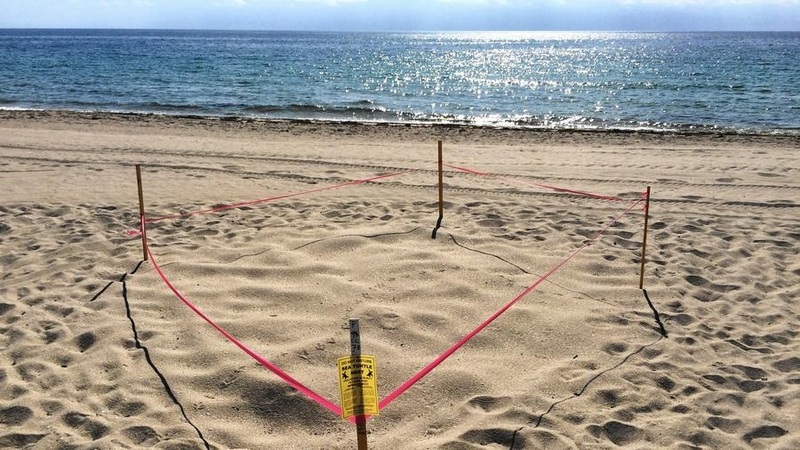 The Pembroke Pines Charter School East Campus recently adopted a loggerhead sea turtle nest in Lauderdale-by-the-Sea as an education tool. After a couple of Florida box turtles were found in the faculty parking lot last year, students became interested in learning about them. They became a great teaching tool; said Lisa Dizengoff, science facilitator. "They learned about body parts, and during our science night, all they wanted to do was hold the turtles." The school participates in the Pennies for the Planet campaign, which allows the school to fundraise for environmental causes. Students had already decided to adopt part of the rainforest when Dizengoff saw a sign advertising sea turtle nest adoptions from the National Save the Sea Turtle Foundation. The organization, based in Lauderdale-by-the-Sea, monitors 4,000 nests through the March-to-September nesting season. More than 300 of those nests have been adopted, many by local schools, said Connie Versteeg, marine biologist for the foundation. There are tons of schools that do it, she said. "In some schools, each of the classes adopts one." Each $60 adoption includes educational materials, a plush sea turtle, and a photograph of their nest. The program aids educators in teaching their students about conservation and the importance of sea turtles, Versteeg said. We do a lot of education programs she said. Many people are shocked to know that maybe one out of every nest of about 100 eggs will survive to their first birthday. Much of that is due to pollution, boating, development and beach renourishment. Versteeg and Dizengoff said the sole downfall is that much of the nesting season is during the summer, when students are out of school. As a result, Dizengoff shares information with students via social media, prompting many to visit the nest and become excited that their estimated hatching date is the first week of school. They also have educated other beachgoers about keeping their distance from the nests. They were very disturbed that people would touch the nests she said. They're very environmental. I'm very proud.